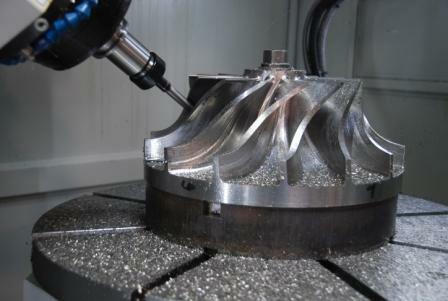 Hurco’s patented ASR feature (Automatic Safe Repositioning) is a very powerful tool for 5-axis NC or CAM programmers. One of the biggest problems when posting 5-axis NC code is configuring the post to always output safe, reliable data to reposition the tool-tip without causing the machine to travel out of limits on rapid moves, and to display those annoying error codes that we all love to hate. Put simply, ASR is a command buffer that happens internally within the control, and causes the machine to reposition automatically to a specified target point - all with the output of just one simple G-code. 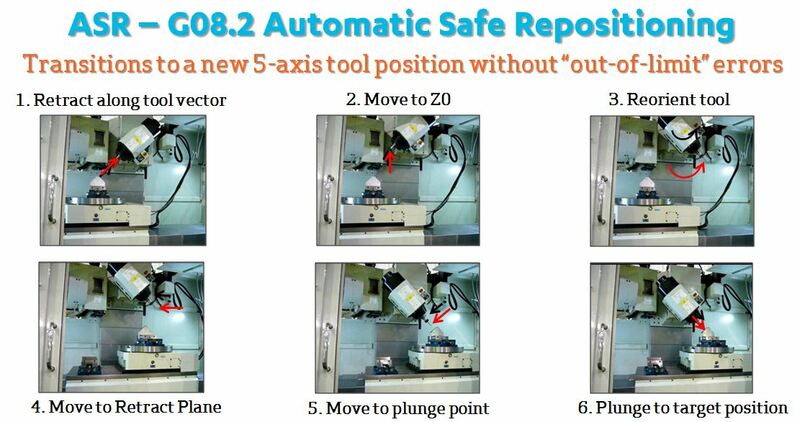 The post can easily be triggered to output the necessary G08.2 whenever a reposition of the tool-tip is necessary. The post-processor would simply output a line of NC code with the G08.2, followed by the desired XYZ position and necessary tool vector or rotary angle data…and the Hurco control will take over from there.